Bestselling author Leonie Morgan is back with another wonderful crochet book, showcasing her vibrant color and stitch variations. Featuring both block and stitch patterns, there is plenty here to please both granny-square lovers and row-by-row enthusiasts! Each of the 40 afghan designs comes with a clear written pattern, an easy-to-follow chart, a skill-level indicator, and a full-color photograph. Instructions and yardage are given, too, for making afghans in three sizes: baby blankets, lap throws, and bedspreads. 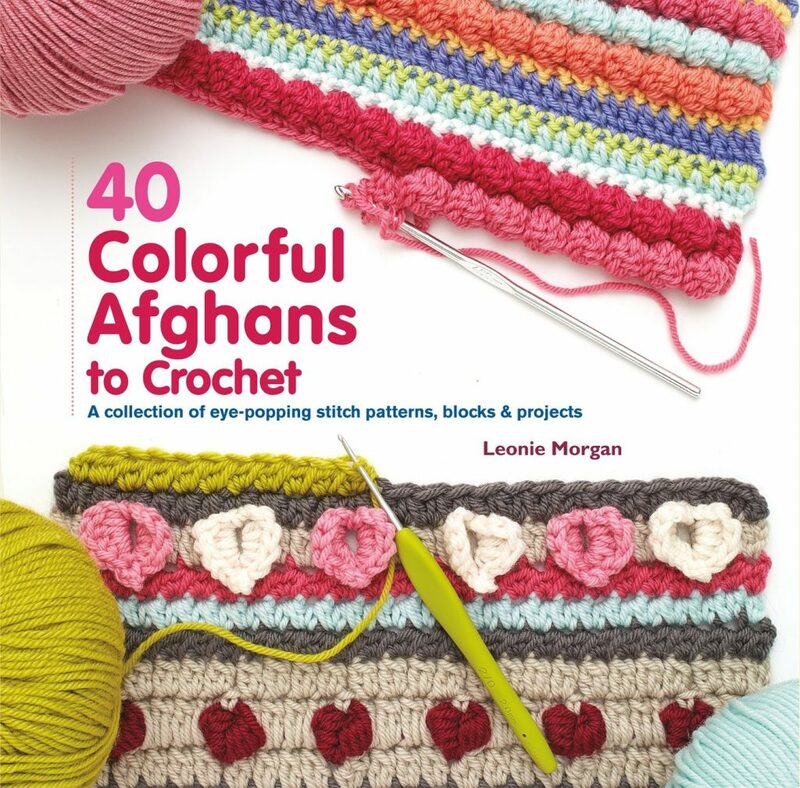 Packed with advice on picking color combinations and a selection of edgings to finish your project, 40 Colorful Afghans to Crochet is all you need to create your own unique and colorful afghan. Amazon USA – $21.99; Gift-wrap and free shipping available! Amazon CA – $27.30: 12% off; Gift-wrap and free shipping available!